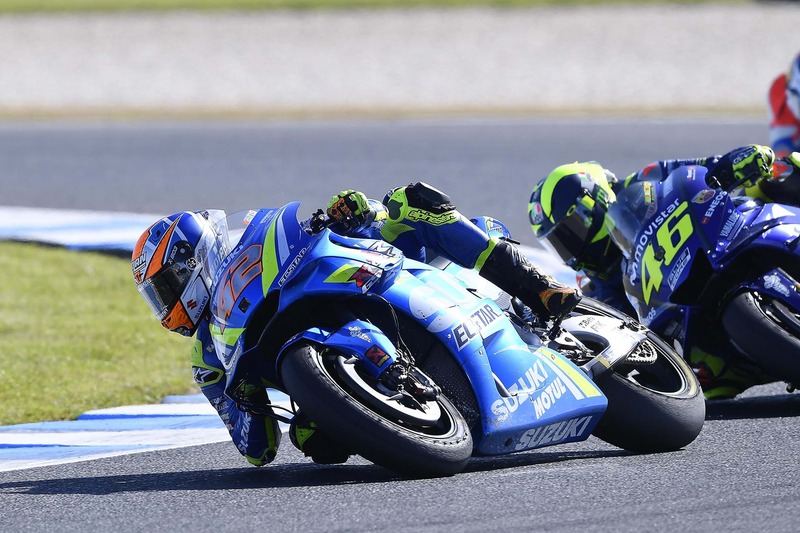 As the complex 27 lap race got underway in chilly but bright conditions, Iannone and Rins opted for the medium-hard tyre combination. 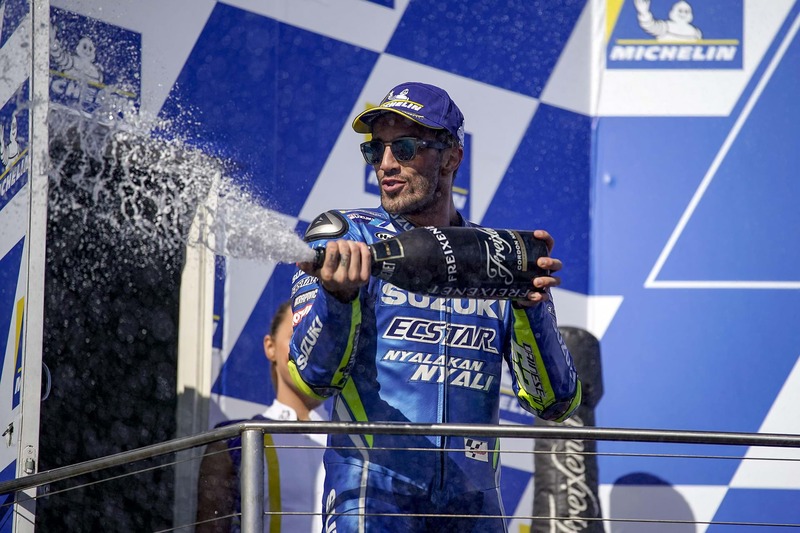 Both riders got great starts and immediately slotted into the lead group, with Iannone setting the fastest lap on only lap 3. 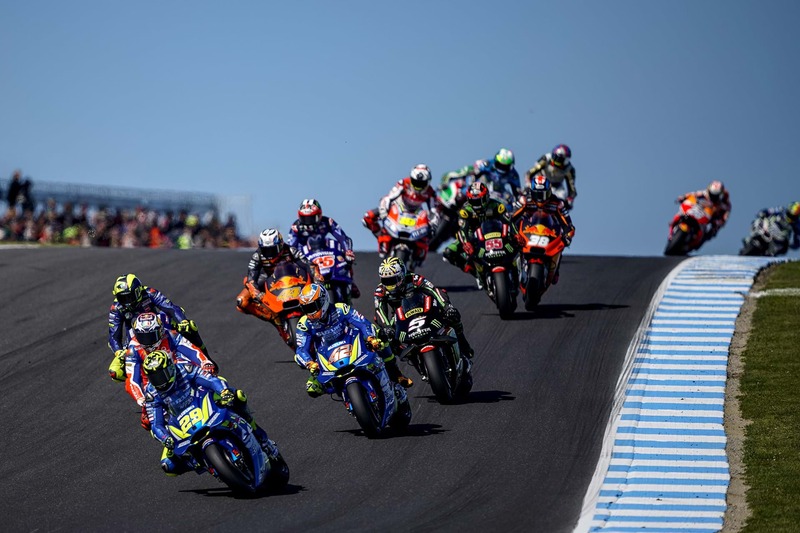 Alex Rins lost a few positions after being sat up by Viñales, but he was able to manage his race well and rejoin the lead group, where he persevered until the flag to take a very solid 5th place. 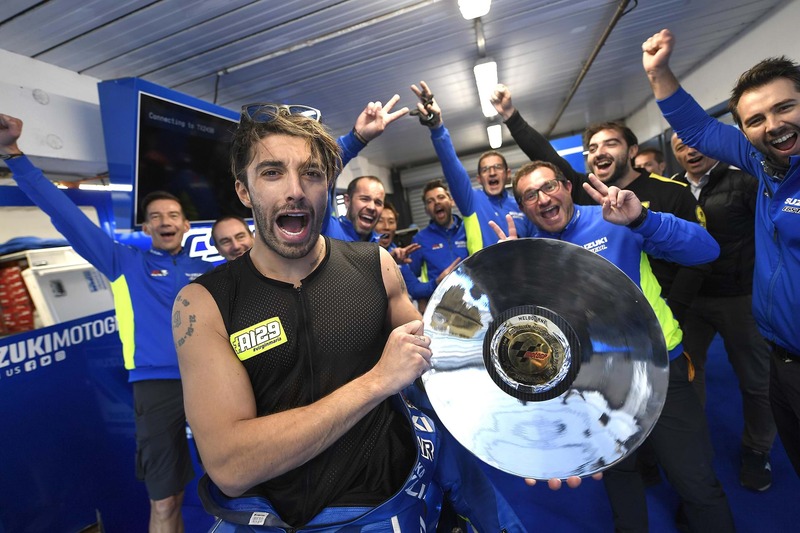 Andrea Iannone was in the fight for top spot and was very close to a huge incident between Zarco and Marquez, however, the Italian kept his focus and continued to push until the end, despite a couple of small mistakes. With 5 laps to go he made his move into 2nd place and proceeded to resist all challenges to achieve an excellent 2nd place, his best result with Suzuki. These strong finishes from the team-mates sees them both close up in the championship standings, giving extra motivation for the final two races.